The historic landscape area of Mynydd Varteg Opencast defines the extent of quarrying and opencast works largely undertaken by the 1960s, though still ongoing. During the early nineteenth century this area was open upland and exploited for ironstone, a number of small quarries were scattered through the area. In 1860 the Varteg Hill Colliery opened as a coal and iron mine linked to Mine Slope with mine kilns and calcinating kilns. An incline linked the colliery to the Monmouthshire Railway Eastern Valley section at Cwmavon station; later the incline was replaced by a branch line of the LNWR, built c1878, to link the colliery to the LNWR Blaenavon-Brynmawr Branch. The earlier workings were destroyed during opencast working, which were carried out at Waun Hoscyn following the end of World War II. The opencast operations covered an area of approximately 1.9km NW-SE by 0.6km from Forgeside to Varteg Hill. The area also includes Cwm Glo Drift Mine, which was worked for a short period in the 1990s; during this time the former LNWR route provided access from the B4248 to the mine. 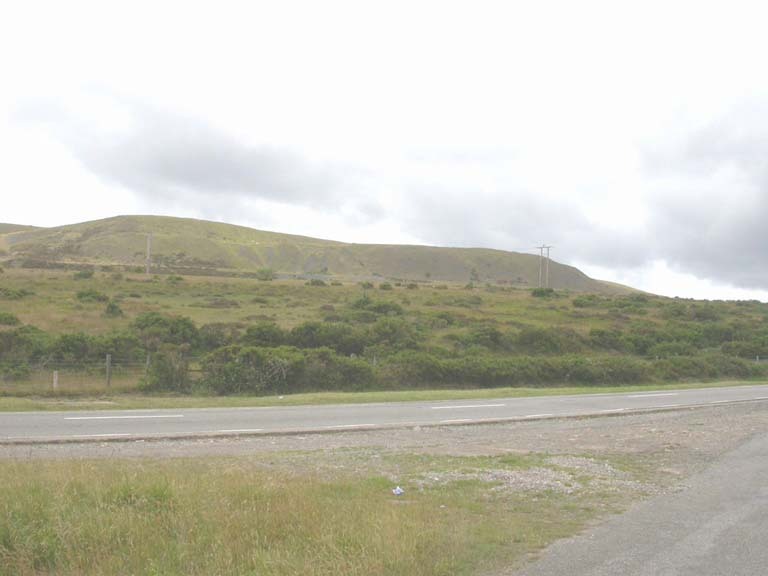 Mynydd Varteg Opencast is presently characterised by large opencast workings and waste tips. Modern drainage ditches and post and wire fences surround the area, while associated modern industrial buildings are also present.